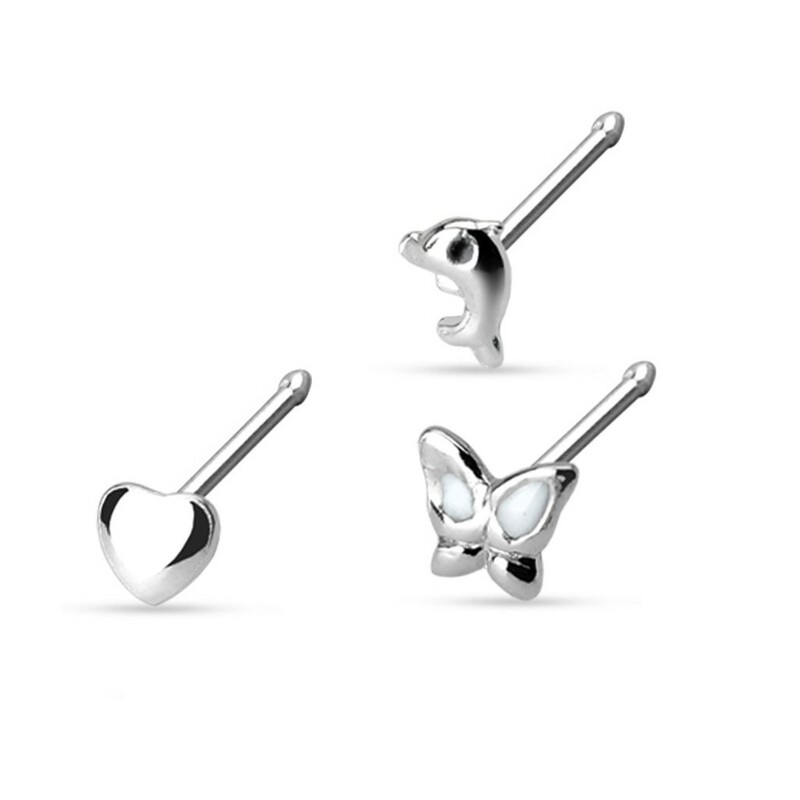 Get three Sterling silver nose bone piercings at one with a silver figurine at the top. Keep alternating with a dolphin, heart and butterfly. Thanks to the thickening at the bottom (the bone) very easy to place and remove.